In Forex trading it is essential to know how much profit your trading strategy can generate in long run or for a specific period of time. 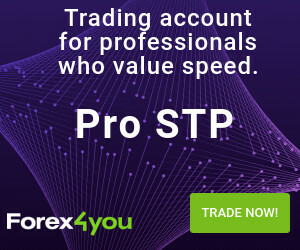 Then you judge the validity of your forex trading strategy, no matter you use a manual trading system or automatic trading system, this rate of return calculator can help you to forecast profit on your investment. How to calculate rate of return expected value? This tool helps traders to gauge a possible forecast of their profit. Enter Win percentage of your trading system or strategy, enter average pip earning per trade, average pip loss per trade along with the number of trades per day & pip value to calculate daily, monthly & yearly expected profit or rate of return. If the forecasted profit is in negative that indicate loss. What is a rate of return in forex trading? When you trade based on your trading strategy winning probability, you can forecast how much money you can make in next period. This is not a rocket solid science unless you maintain your performance exactly as your target. Suppose you start trading with $5000. Your average winning rate is 55% and you make average 25 pips per winning rate and 10 pips per losing trades for 3 traders per day. So if you keep trading with this variable, if your trading performance stays same as it is. Then you will make $27.75 per day & $582.75 profit per month. Almost 11% of your total trading capital with $10 per lot value.